Ambarella Inc (NASDAQ:AMBA) is scheduled to release its fourth-quarter earnings for fiscal 2015 after the bell on Tuesday, March 3. Expectations are high, and word on the Street is that the video chipmaker will report an impressive EPS increase approaching 90% year-over-year. Further, analysts expect revenue to be up almost 50%. The consensus on Wall Street is comfortably within AMBA’s Q4 guidance (quarterly revenue of $57 million-$60 million). Management guided for $15 million-$17 million of non-GAAP net income and adjusted gross margins of 62%-64%. It’s also entirely possible that AMBA could release fourth-quarter figures that beat expectations, as the company has posted positive earnings and revenue surprises for the past seven quarters in a row. According to analysts providing ratings to Yahoo! Finance and MarketWatch.com, AMBA should report $59.38 million in revenue for the quarter ending January 2015, and $212.91 million revenue for the full year. Earnings per share are predicted to be 49 cents for the quarter and $1.80 for the year. Compared to Ambarella stock earnings from fiscal 2014, this would amount to a year-over-year quarterly revenue increase of 48.6%, and a year-over-year annual revenue increase of 35%. Considering the recent explosive growth in the wearables sector, Ambarella earnings should reflect that increasing consumer interest. Specifically, the widely successful GoPro Inc (NASDAQ:GPRO) Hero camera line, which is expected to grow by as much as 25%, along with other popular GPRO products, will continue to propel Ambarella stock. However, while it’s true that a rather significant portion of AMBA revenue (35%-40%) is the result of GPRO camera sales, the chipmaker has other arrangements and outlets in the video silicon arena that round out the company’s offerings, putting less reliance on the often-volatile sports camera market. 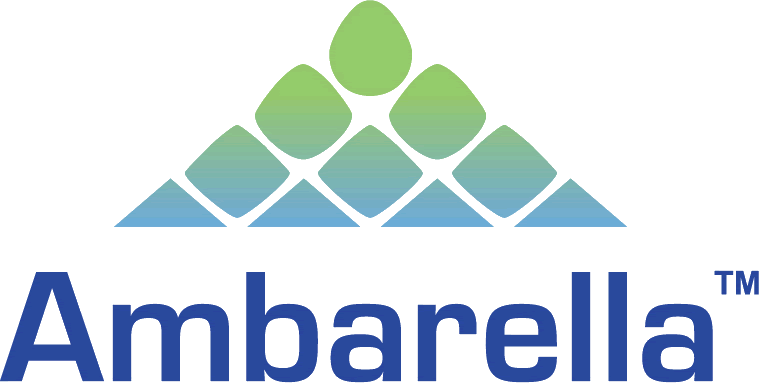 An estimated 42% of Ambarella earnings stem from IP camera chip sales and related video security hardware such as wearable police cameras, home monitoring systems, and drones/UAVs, as AMBA manufactures and sells silicon to some of the world’s largest video surveillance companies. In a research report released earlier this month, FBN Securities analyst Shelby Seyrafi described the coming explosion of the IP video surveillance market, estimated to be worth $57 billion by 2020, and AMBA is poised to take full advantage of said growth in the coming years. Expect Ambarella stock to maintain solid positive earnings, regardless of potential volatility at GPRO resulting from the reduced ASP of Hero sports cameras. AMBA is well-positioned to reap significant profits from the wearable sports camera segment, as well as the IP camera/home monitoring segment. Additionally, if the automotive recording space ever begins to boom, Ambarella stock will undoubtedly be on the front lines there as well. For those looking to gain exposure to the video electronics arena, Ambarella stock is the way to go. Look for management at AMBA to report another quarter of massive earnings and revenue growth, as well as double-digit guidance for fiscal 2016.